Server-side solution. I consider this is the best way to send an email because with this solution you can customize all as you need like: HTML, styles, attachments, etc. but it is more complicated because you will need to program in any server-side language (PHP, Java or any .NET language). In this post we concentrate in client-side solution. 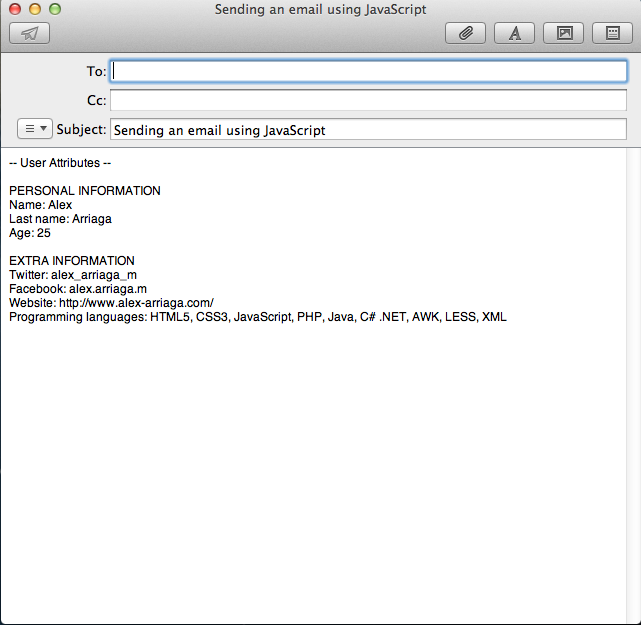 Finally, we iterate inside of it and configure the body of the e-mail and the url in order to throw the mail client and send the email. Please, pay special attention in the SendByMail function. If you want to test this in your own computer, please, download this code.